Mrs. Barr has over 25 years of medical office experience. 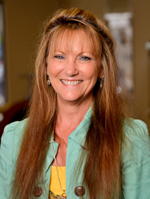 She is a licensed x-ray technician and has several years experience with orthopaedics. She earned an Associates of Science Degree in Computer & Business, Associates of Science in Allied Health and graduated from the radiologic technology program at Jackson Madison County General Hospital.